The Milky Way, August 3, 2016. 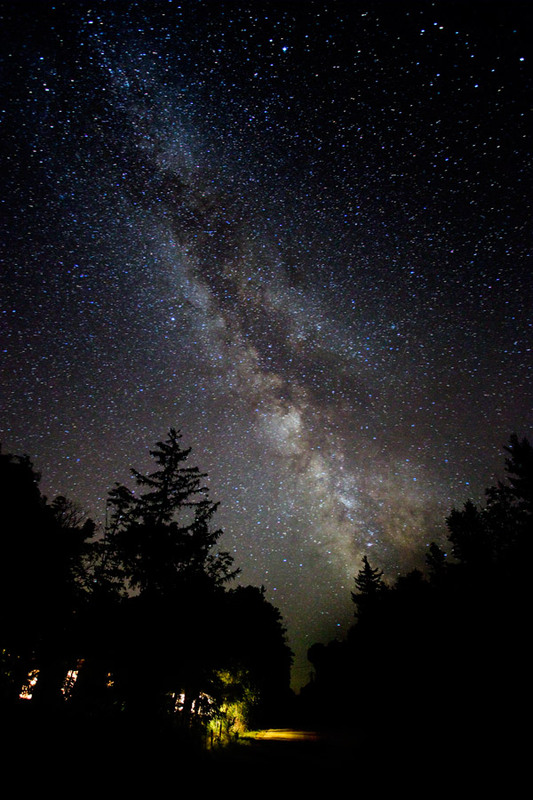 Where we live in southern Ontario, on the Bruce Peninsula we are lucky to have night skies that are fairly free of light pollution. Moonless nights are very dark here, and we can see the star-studded sky much as our ancestors did. The Milky Way is no longer visible for about 80% of North Americans because of the sky glow of city lights. I took this image from the middle of the road near our house, looking south. Our neighbour's home is partly hidden in the trees to the lower left.